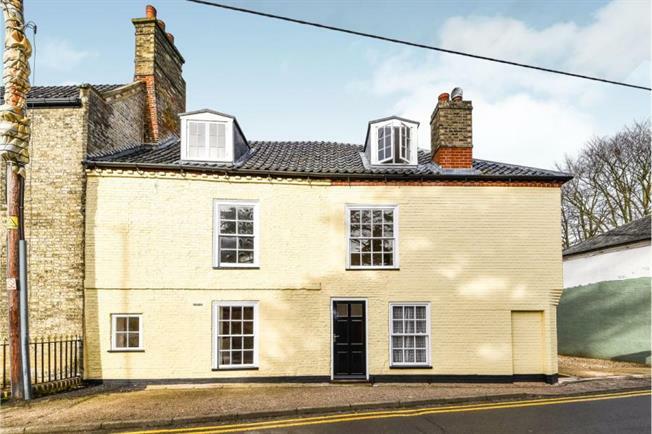 2 Bedroom Town House For Sale in Thetford for £180,000. FEATURED IN THE BIG OPEN HOUSE This stunning two bedroom townhouse conversion will not be around long, with lots of character and spacious accommodation you do not want to miss out. To the ground floor you have the spacious lounge and kitchen along with the downstairs cloakroom and utility room. To the first floor you will find bedroom one and the main bathroom with close coupled wc, wash hand basin with cupboards below, P-shaped bath with shower over and shower screen and heated towel rail. The second floor you will find bedroom two with fitted wardrobes please be advised this bedroom has restricted head space. Watton is central to Norfolk's many attractions and it offers a wide range of shops, restaurants and public houses alike with schooling for all ages. Watton is situated 20 miles west of Norwich, approximately 11 miles from the A11 (Thetford) and 10 miles from the A47 (Dereham). There is a doctors surgery, a pharmacy, dentists and a veterinary practice. A market visits the High Street on Wednesdays.